Media Trust, based in the U.K., works with media organizations and communities to enhance communications. The organization has launched a year-long initiative to teach practical journalism skills to 120 Londoners aged 18 to 25. It will be the first of many community news hubs around the country and will provide volunteers and mentors to help better organize existing citizen journalism participants in addition to new recruits. Jasmine Dotiwala, a news editor with London 360, said the project would “give young reporters, who don’t have much experience in the field, on-the-job training in filming, research, scripting, producing, writing and editing.” Although the project makes no specific mention of it, the initiative will also provide a healthier outlet for London youth than was displayed in the recent riots. 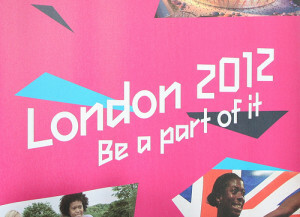 Another initiative is seeking participants specifically to cover the 2012 London Olympics and Paralympics, as well as the accompanying Cultural Olympiad. It’s part of #Media2012, a citizen journalism network led by the Abandon Normal Devices (AND) festival and Lets Go Global (LGG). Since AND is a festival of cinema and digital culture and LGG focuses on online video, participants in the project will receive training in video production in addition to learning how to write content for online distribution. #Media2012 was founded to build a “collective citizen media network” for the games. Other co-founders include the London 2012 Creative Programmers Network and the University of the West of Scotland. The aim is to engage spectators, give coverage to elements not necessarily in the scope of mainstream sports journalism, and to promote citizen journalism as a whole. A similar project, called SochiReporter.Ru was launched to provide a hub for citizen reporters covering preparations for the 2014 Winter Olympics in Russia, among other topics. Alexander Zolotarev, who founded the site, recently wrote about a citizen journalism project attached to the Union of European Football Associations’ Under-21 (U21) soccer championship between the U.S. and Czech Republic, which was hosted in Denmark this year. Danish School of Media and Journalism professors Kristian Strobech and Nils Mulvad, and their partner Rasmus Johnsen from the Active Institute, compiled a team of 170 citizen reporters, comprised of students and other locals. The reporters used Twitter, Storify, and a custom iPhone app to cover the game in real time. Danish national TV2 and local newspaper Aarhus Stiftstidende also collaborated on the project. The U21 experiment was an exciting test of how citizen journalism can enhance the coverage of a large sports event. It will be interesting to see how social media and citizen journalism will play a role first in the London Summer Olympics and then in the Sochi Winter Olympics. These big events are an opportunity for citizen and alternative journalism to converge and take center stage. Image by UK in Italy, used under its Creative Commons license.